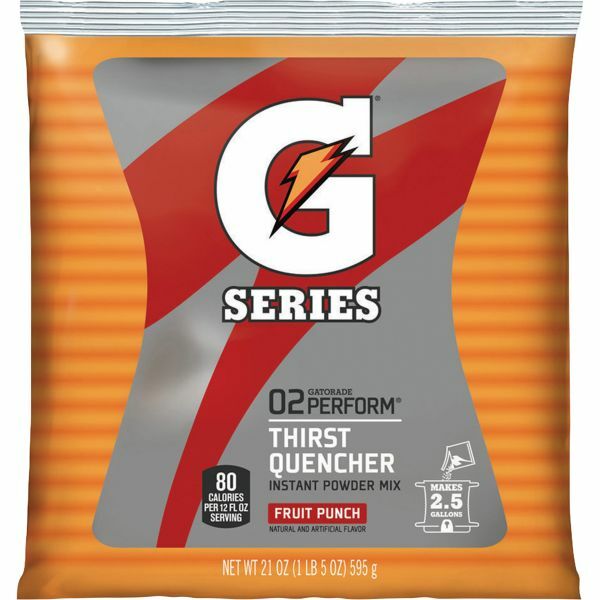 Gatorade Red Thirst Quencher Mix Pouch - Gatorade Mix Pouches help replenish fluids and provides electrolytes and carbohydrates for fast rehydration and energy boosting. Electrolytes help regulate a number of body functions, and athletes who suffer from a substantial electrolyte deficit may experience muscle cramping, heat stress and fatigue. Each pouch makes 2-1/2 gallons.